Apple announces new iPad in it’s Education Event today along with several other new features for education. These announcements reinforce Apple’s commitment to students, teachers, and schools. The introduction of Pencil support in the new iPad as well as in iWork apps, increases the flexibility and utility of an already great iPad. Pencil is sold separately for $89 for education. In today’s event, Apple showed how this can be used for Smart Annotation to mark up documents in Pages directly. 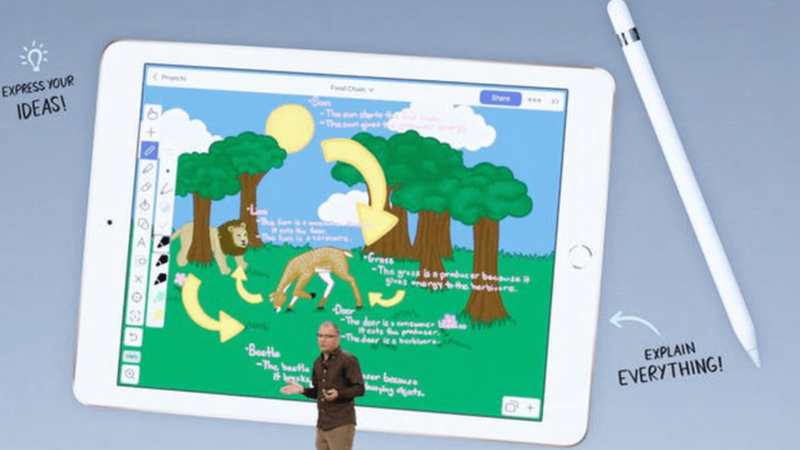 Now students and teachers can enjoy the flexibility of drawing and annotating as flexibly as previously seen in the iPad Pro at a much more affordable price. iWork apps which include Pages, Keynote, and Numbers, now have advanced drawing and annotation tools to support Apple Pencil. Smart Annotation is a new feature which anchors directly within the texts of Pages documents, allowing teachers to make notes and provide feedback for revising and editing. Another announcement includes Apple’s focus on developing book creation for the iPad using the Pages app. iBooks Author, Apple’s current book creation app, is only available on macOS. By adding the feature for book creation in Pages on the iPad will allow students to author their own content. It will be interesting to see how this develops. Imagine students creating their own textbooks as a means of project based learning in school. GarageBand gets additional content for education including new sounds. The Clips app is given new content such as additional Live Titles, animated labels and stickers, and new posters for creating animated title cards. Apple Classroom is the app that connects teacher and student iPads for collaboration, classroom management, and more. Classroom has a fresh new look and additional management features, empowering teachers to help direct and focus student learning. Think of Classroom more as a teaching assistant than an LMS. Currently, teachers have to use the iPad for this feature. Apple revealed that this summer, it will also be available in a macOS version. This allows teachers to choose which devices they feel most comfortable using to help direct student learning with the iPads. Another new tool is Schoolwork, which allows teachers to share materials and assign activities within apps. Students can view assignments and submit work, and self monitor their progress. 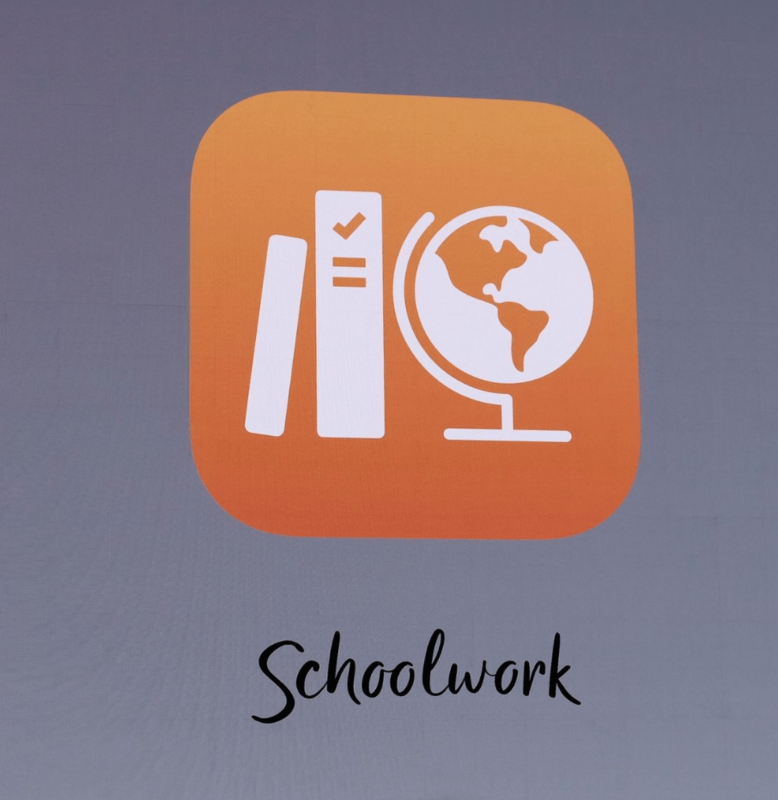 Schoolwork integrates with the iWork apps for easy collaboration and sharing. IT admins will need to set up Managed Apple IDs in Apple School Manager (ASM) for this feature. Apps that support Schoolwork can also be found in ASM. One of Apple’s selling points on this is it’s continuing commitment to privacy, protecting student data. Only teachers will be able to see student work, monitoring their progress. Other announcements include a continued commitment to promoting coding in K-12 schools as seen in Apple’s initiatives in Chicago Public Schools and even Austin ISD among others. Also mentioned is the introduction of a ClassKit framework and a call to action for developers to create new, innovative solutions for schools using these new features. I’m really excited about the new announcements. While some were expected, like the new iPad, others were only hoped for, like Pencil support and expanded iCloud storage. 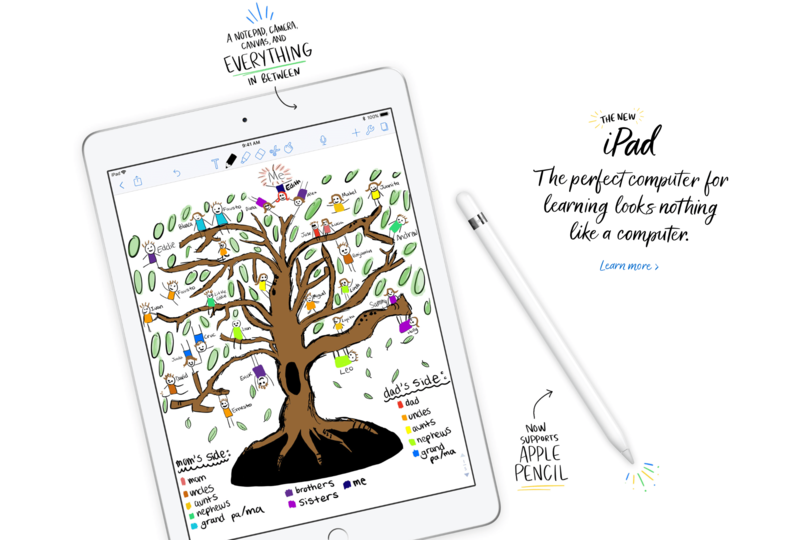 Apple’s done a great job developing new features for creativity, collaboration, and management that make using iPads very attractive for schools. Apple’s continuing commitment to data privacy is extremely important, especially in light of recent news. Apple School Manager and Apple Classroom have made a significant impact on our school district. Expanding that to macOS will help teachers be more comfortable leveraging these already user friendly tools for students. All in all, great job by Apple! Featuring Even Greater Performance and Designed for Powerful AR Apps.